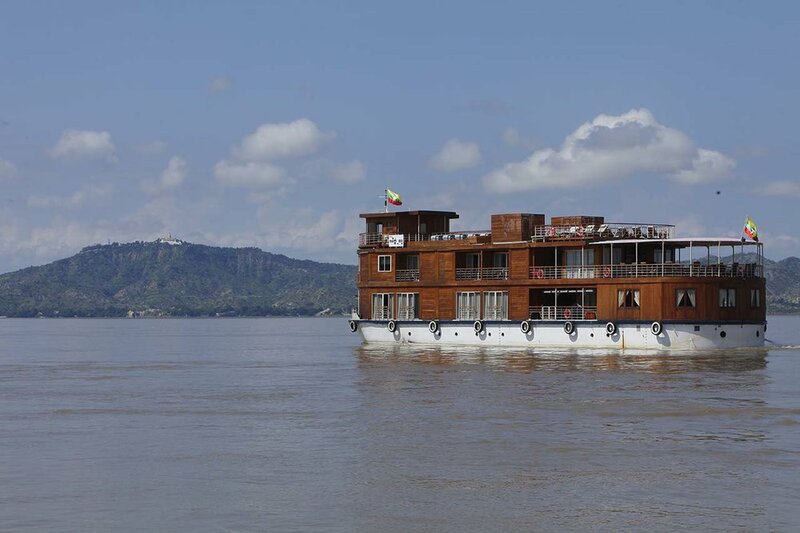 A small luxury, traditional teak-wood riverboat on the Irrawaddy River in Myanmar (Burma). 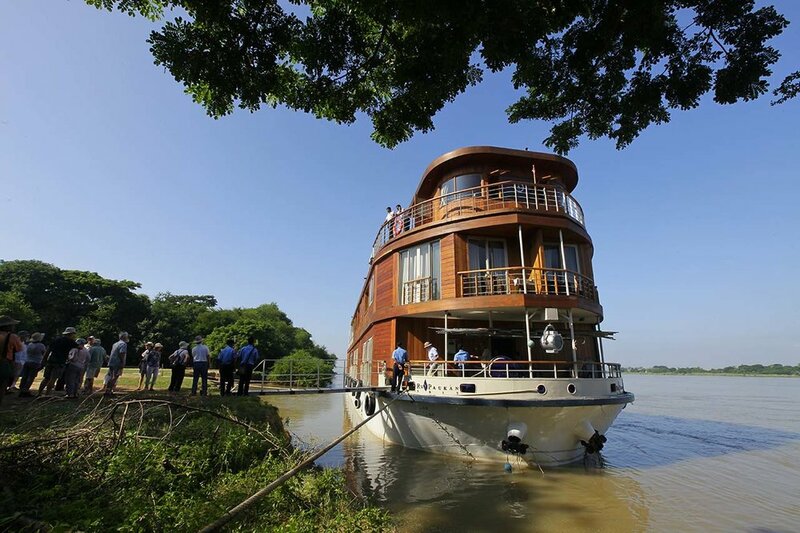 The Paukan 2012 is a gem of a vessel; a compact but elegant vessel made of teak with a hull of marine steel. The walls and floors are of timber with each plank carefully chosen to show off the beautiful grain. The décor is modern chic, with a touch of Myanmar culture through a few traditional motifs, wooden figures, fabrics and paintings. 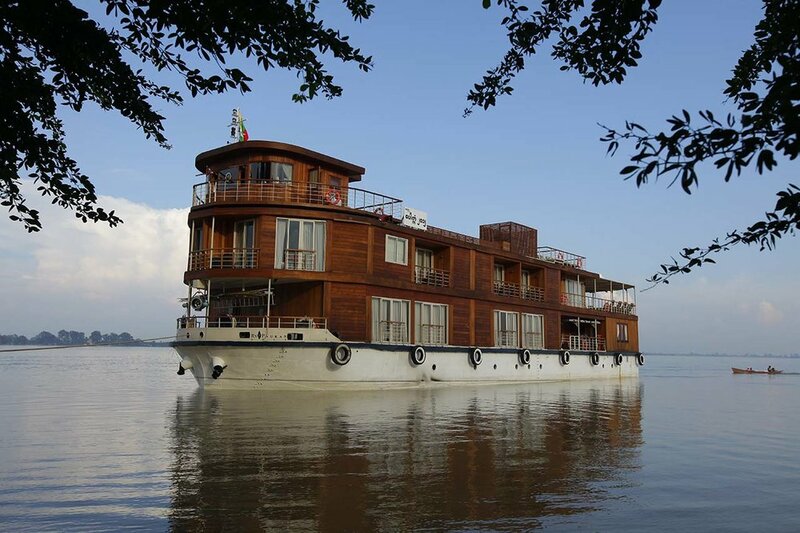 There are 18 cabins, twin and double, with attached bathrooms for a total of 34 guests. All the cabins are nicely decorated and comfortable with in suite bathrooms. 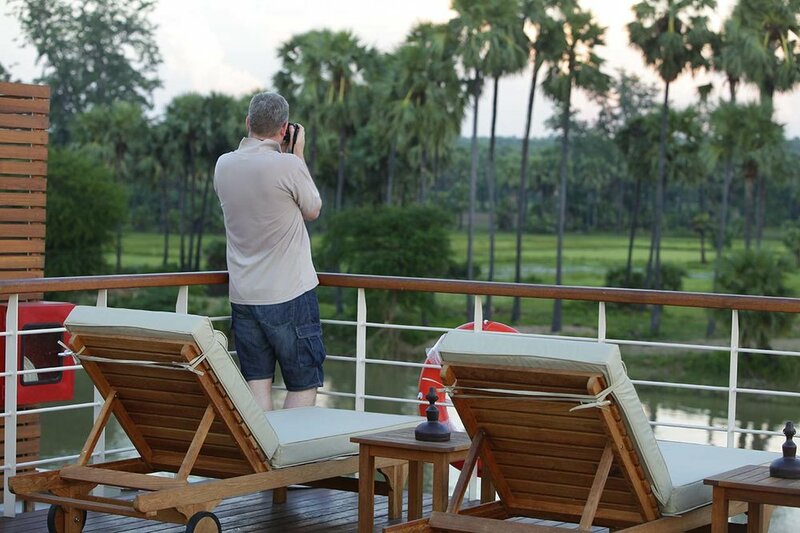 The best view of the river can be enjoyed in the two 'Premier' staterooms on the upper deck, each with French balconies on two sides, leading out to a spacious balcony. With the drapes pulled aside in all cabins, there lay in front of your eyes the amazing view of the river as it changes moods during different times of the day. The dining room is a spacious hall on the main deck where every morning a scrumptious breakfast buffet is served. 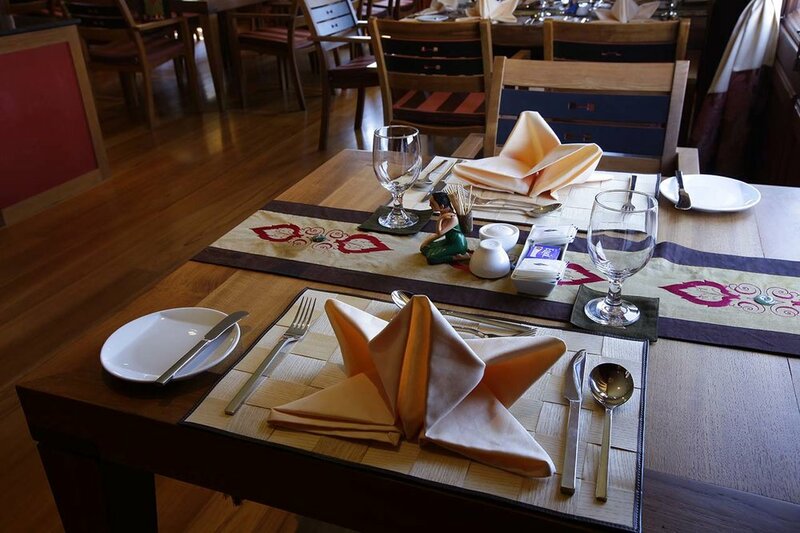 Lunch and dinner are a blend of Western and Myanmar cuisine prepared with care for freshness and taste by experienced local chefs. Breakfast and lunch are buffet followed by a served dinner. 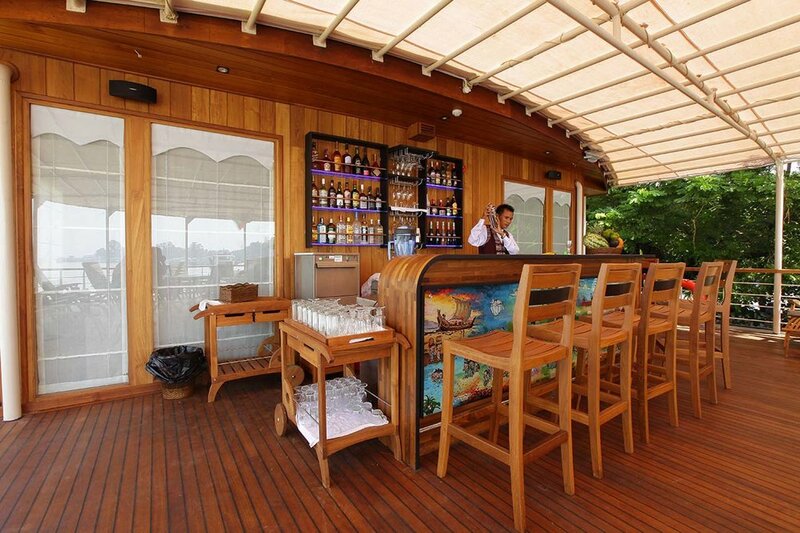 The indoor lounge on the upper deck seats 16 and the open deck features a well-stocked bar. The air-conditioned indoor lounge is arranged and decorated tastefully with comfortable chairs, for groups of several people in a more intimate setting. The outdoor lounge on the sun deck is the best place to enjoy an evening drink as the sun sets with a backdrop of the sky's spectacular display of colors.